I have to check my track record reviewing female fronted gothic metal bands for this site, but somehow I do not recall high quotes. It isn’t that I am biased against the genre, but it seems that a few acts I do enjoy within that scene have been covered by my colleagues, so I have been left to criticize the rest of the field. 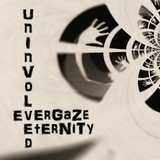 As such, Italian newcomers Evergaze Eternity were up against some higher standard to begin with, but the circumstances of this week unfolded so that no extreme music could have been played in my realm. The band’s ten track Uninvolved is their full-length debut on the home country label Spider Rock Promotion, and is a combination of some radio-friendly gothic metal rockers with a few more experimental forays. Strongly influenced by their more famous countrymates Lacuna Coil, Uninvoled contains a number of songs with respectable, rumbling made-heavy-through-production riffs (No Regrets, In Vain), spliced with hooky choruses reminding of Evanescence in places (Insane). Borrowing the aforementioned hook from someone else is also not beneath Evergaze Eternity, since the line in otherwise shimmering The Hive does remind me quite a bit of the radio hit put out by Tatu, the Russian Eurovision representative from a few years ago. From more dramatic to softer and caressing (Still Waiting), sometimes with the stronger bass guitar presence (Memories, In Vain), Uninvolved is the music I can play to my teenage daughter without her asking me to turn it off. Fronting this somewhat standard, yet very listenable, palette is Valeria Salerno with her thin, and if not childish, then at least juvenile, voice. If you are in search for some powerful, mature female vocals, Evergaze Eternity is not it, but the certain softer and very tender, projecting innocence touch from Valeria is what appealed to my kid and made me eventually warm up to Uninvolved. There is a definite desire on the part of Evergaze Eternity to experiment and push the envelope, but those tracks were actually the ones I liked the least on the album. The dissonant and distorted short instrumental title track works pretty well, while Live to Tell cover of Madonna is made slower/heavier and drags too much. And the use of male vocals from nasal whispers to downright shouts on In a Corner will actually make you miss the softer touch of Valeria when she eventually comes back into the picture. Using violin and piano in spots (Crumbling) adds a natural touch to the music, but that is probably as far as I would like for Evergaze Eternity stray away from their formula and still appeal to the mainstream listener. Without sappy ballads and outright skip-through tracks (except maybe In a Corner), Evergaze Eternity can very well open up for Lacuna Coil and satisfy when less complicated, somewhat moody, but still affable and naïve music is called for.